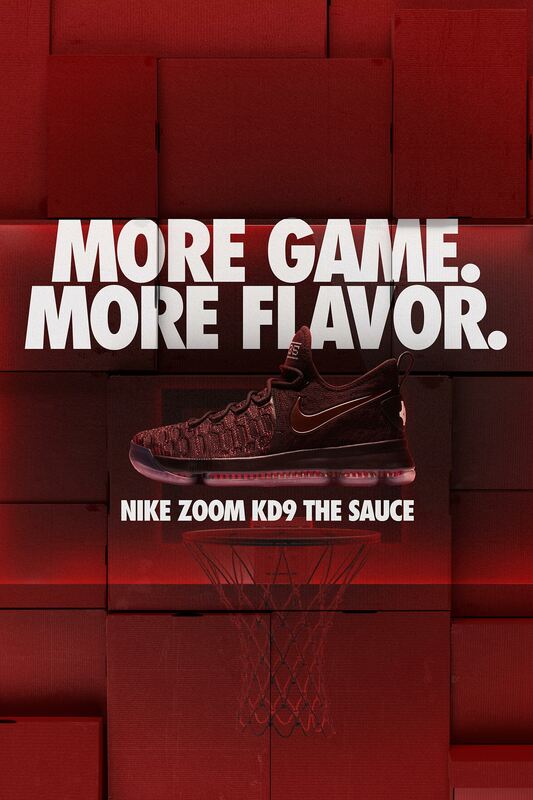 Throughout his career, Kevin Durant has been recognised as one of the most versatile players in the game. 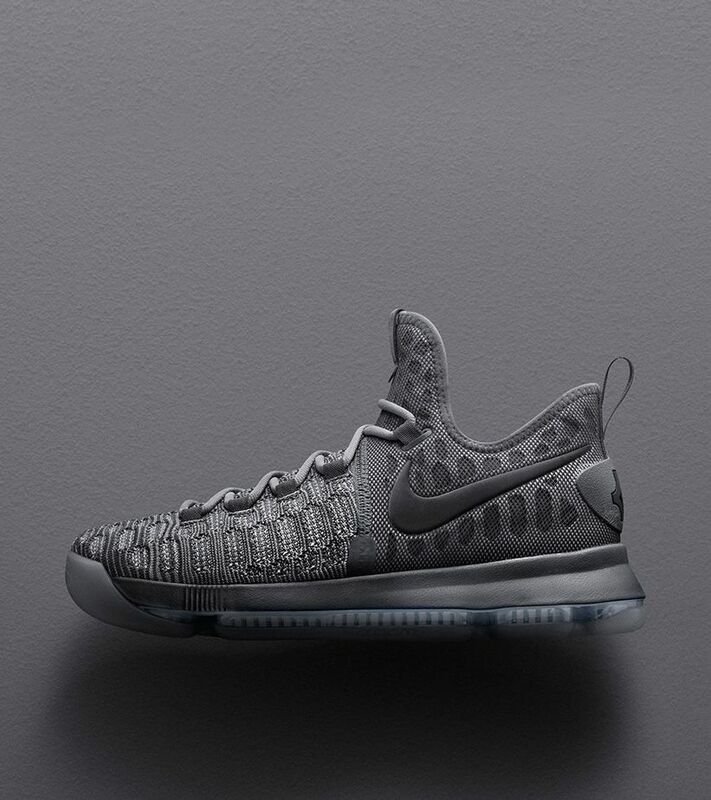 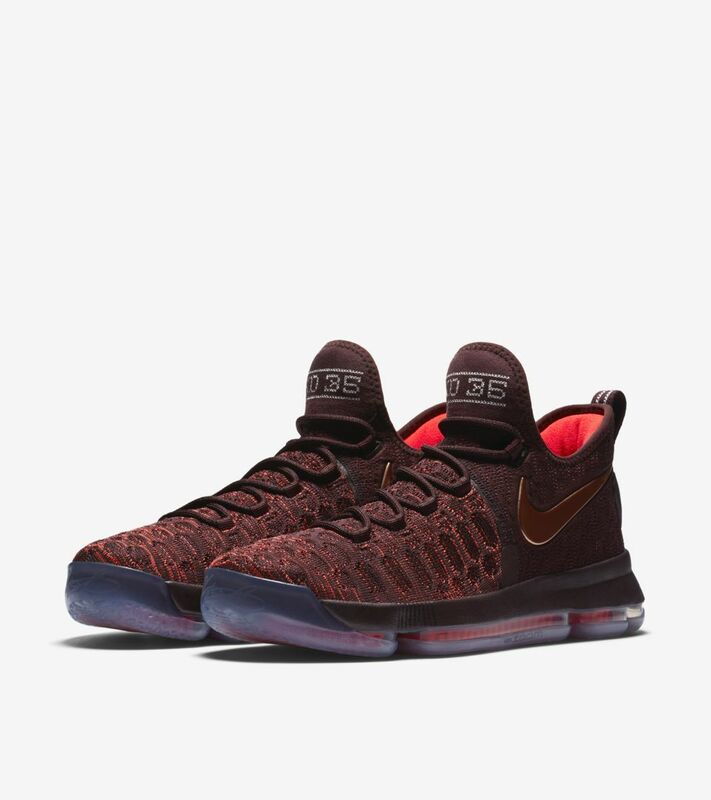 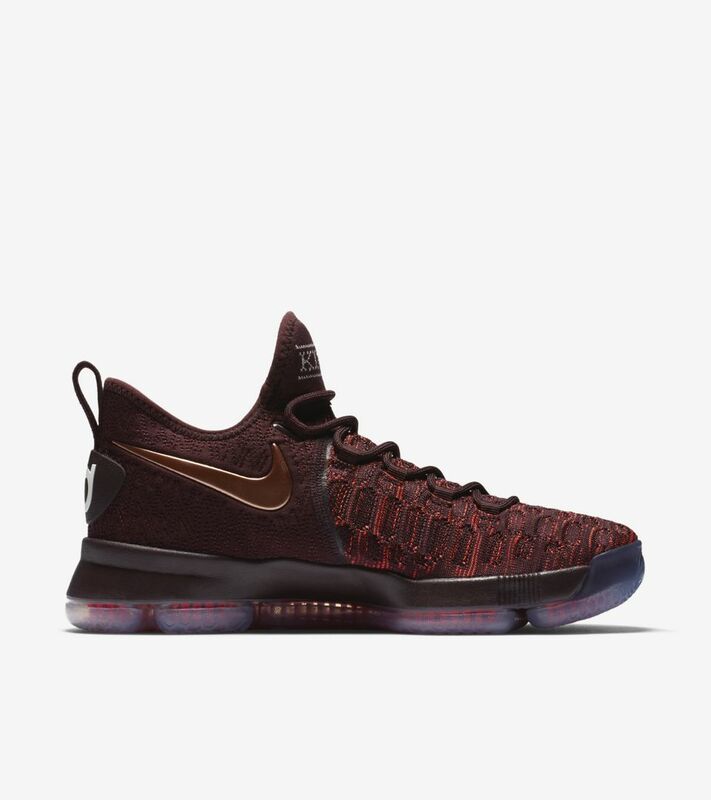 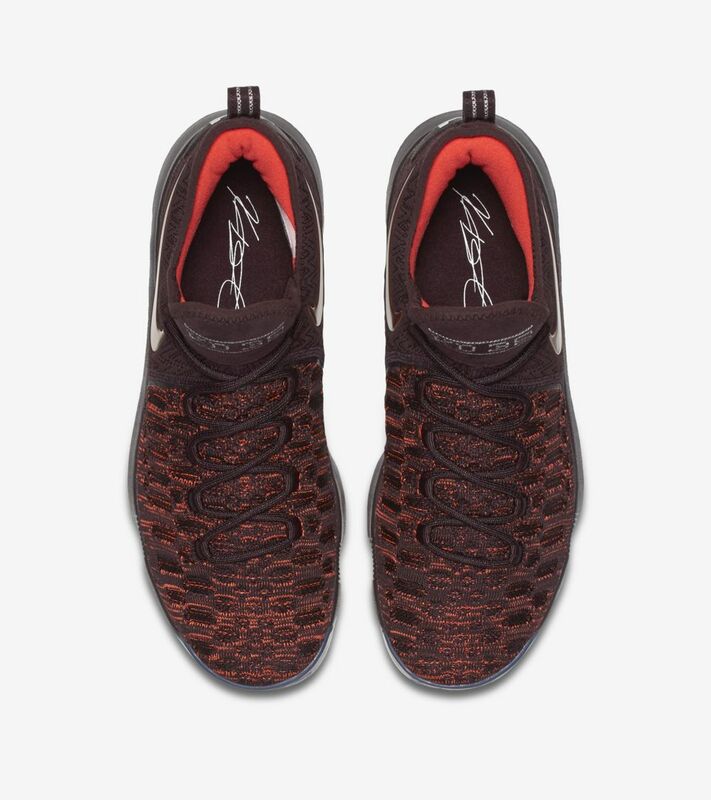 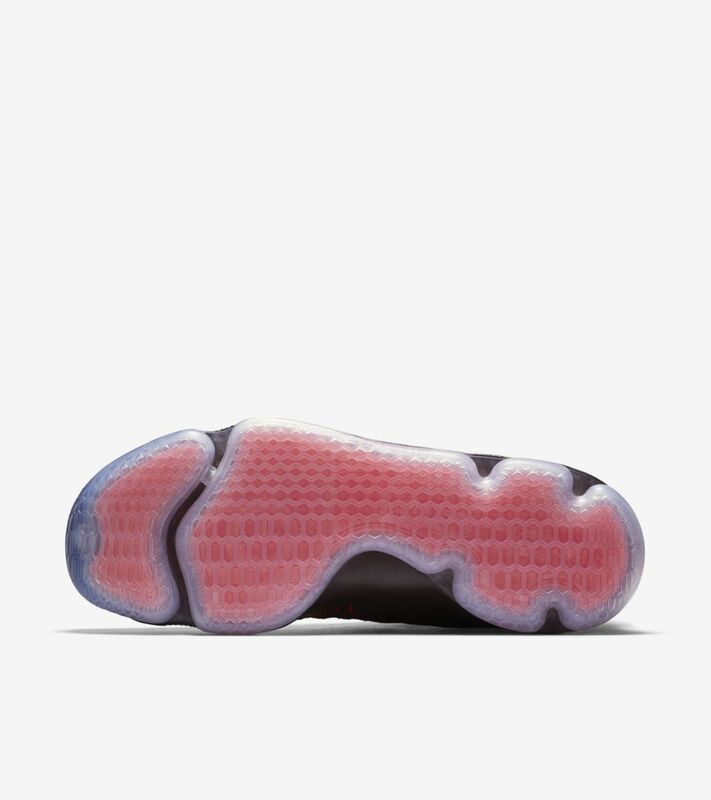 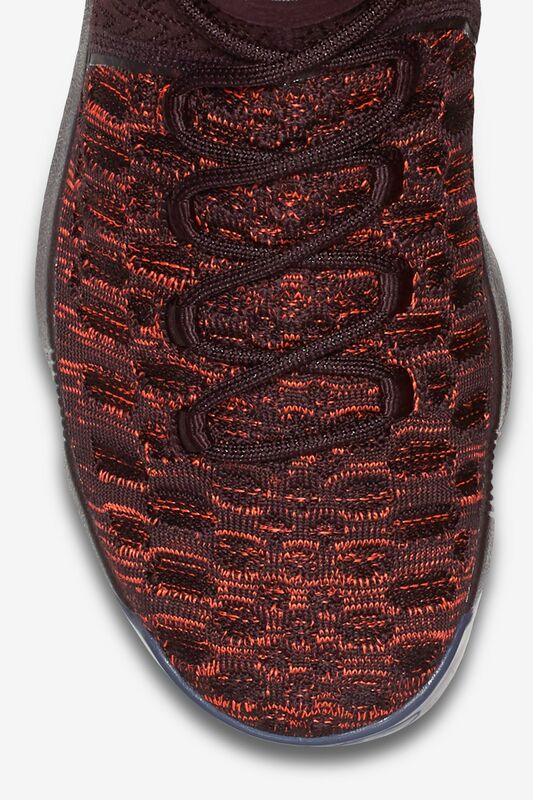 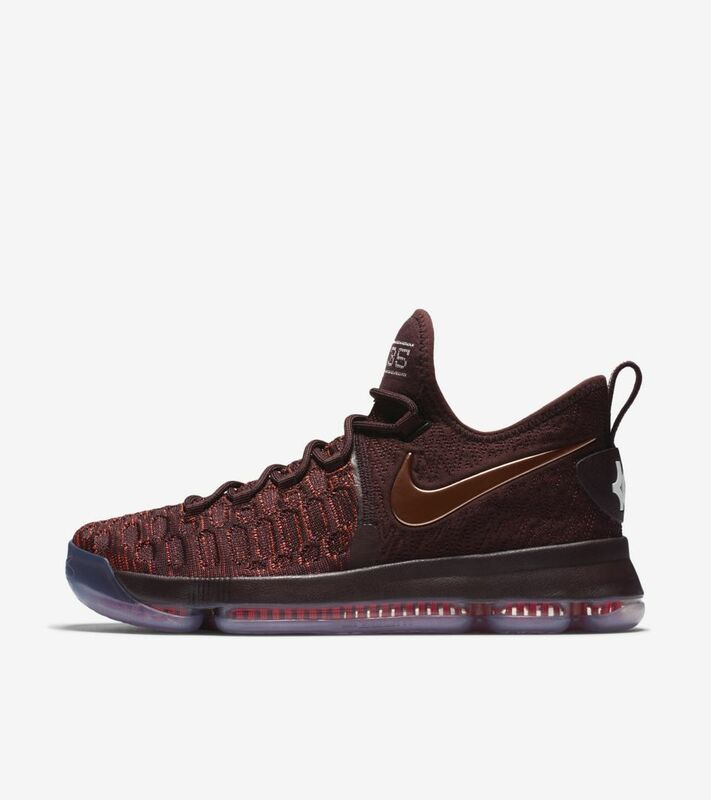 His KD 9 signature shoe helps keep him fluid in his every move, equipped with a sock-like Flyknit upper and re-imagined Nike Zoom Air cushioning to enable a natural motion every step of the way. 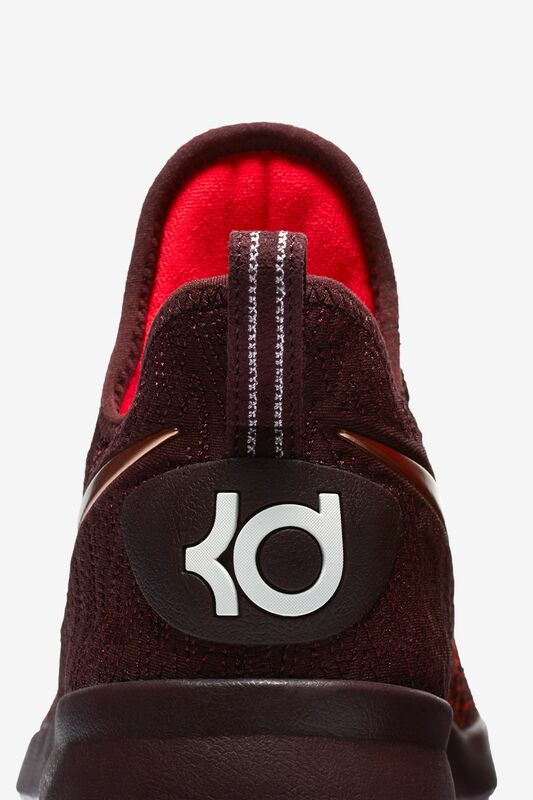 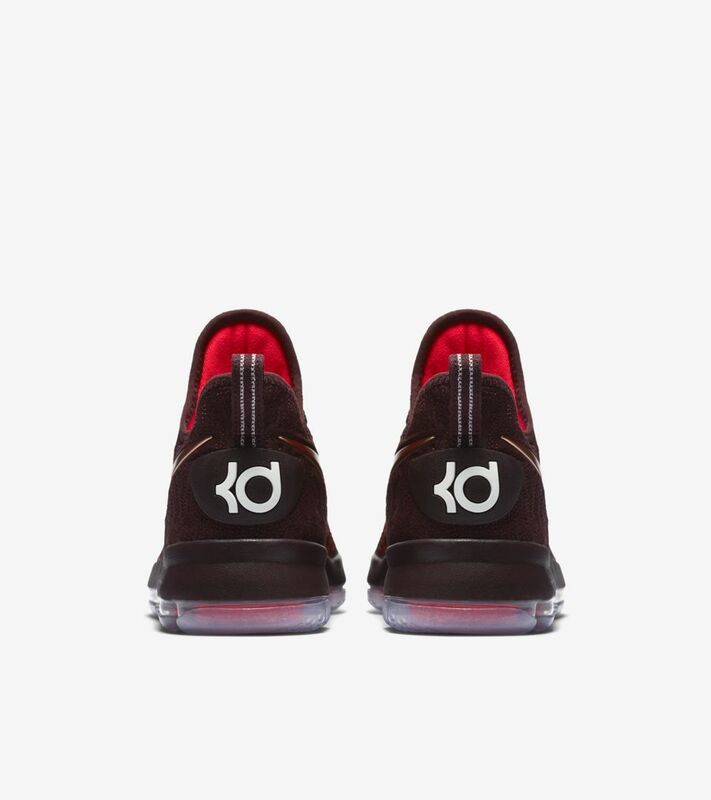 Durant's fluidity also comes to life with a sauce-inspired colour scheme. 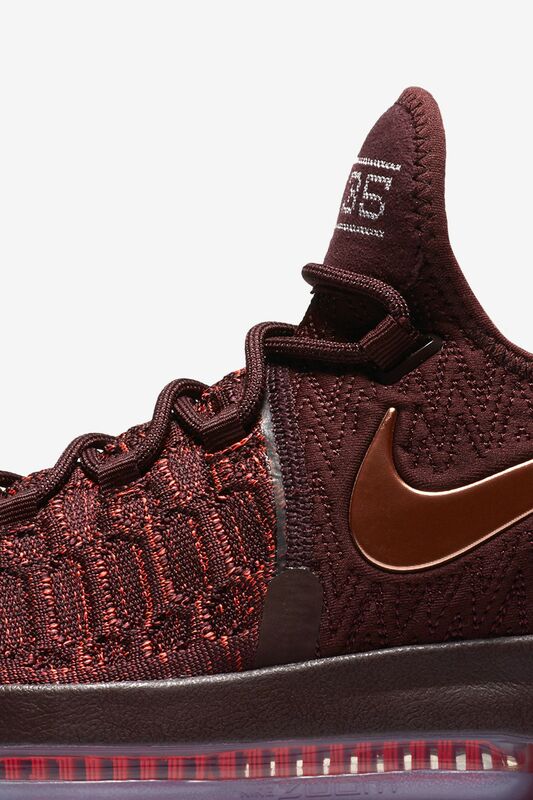 The sauce-themed look is presented in Deep Burgundy with hits of Metallic Red Bronze and Bright Crimson.